Oh...Do I want to bawl. But not of these tears which come from pain. No! Tears of melancholy which invade the eyes at the same time of our memory remembers of our childhood where, quite enchanted that we were, we listened to the stories and watched the movies about the tales of 1001 nights. Ali Baba, the prince of Persia and Aladdin. You remember? Well, maybe I am too sensitive and the painkillers are muddling up my feelings, but the fact remains that the first 15 minutes of “Still Waters” are to be weep. Sculpted in the harmonious ashes of Short Stories, released in 2011 (AD593CD), this last Robert Fox's album entails us in the sound fantasies of an Arab world with a cinematographic vision from which the depth of the details are the privilege of the brilliant English composer. Breaths of a synth orchestred in fragrances of Persian flutes rise into the air of a still sleeping continent. Across its golden breezes, which sound like a misty Ney, "Persian Sunrise" reveals this filmic vision of a city which wakes up on a sacred day. The mood is extremely ethereal with these breezes which float in a soft perfume of ether, gathering from their poignant lamentations the delicate notes of Persian sitars which crumble their contemplativity among some delicate ringings of carillons. “Still Waters” is a tribal sonic mosaic which interlocks its 10 tracks in a long musical tale where the Arabic and oriental spirits confront in a surprising symbiosis enter the astral and tribal poetry for the most delicate pleasure of our ears. "Weeping Dragon" welcomes the finale of "Persian Sunrise" by blowing some even more poignant breezes which mix marvellously the musical and poetic fragrances of two countries rich in stories and legends with a long and soft litany which would not have to redden in front of the song theme of Titanic. The flutes are superb of tenderness and onirism. Their seraphic singings are sliding in the color of harmonies where the reminiscences of a still touching Kitaro swallow our souvenirs. Tribal percussions and strings of acoustic instruments offer an ambient and dreamy rhythm by which the delicate progression increases this feeling of tearing which surrounds the first 15 minutes of “Still Waters”. It's very beautiful. And it gives the taste of weep. And Robert Fox doesn't stop filling his synths of weeping breezes. It's behind a voice taken away from the magical of electronic instruments that the first rhythmic steps are hatching. Always braided of Berber tribal atmospheres, "Hanuman" offers a delicate rhythm which skips with fragility on the caresses of fine percussions more electronic than clanic. Omnipresent and sculpting some ambiences as much touching than ethereal, the Persian flutes drag constantly the listener into these imaginary countries which breathe the vastness of the big Mongolian landscapes. As in "Pegasus" and its impressive flute/violin duel which cries on a fine movement of hypnotic sequences and the very beautiful "East to West" which is a melodious gypsy ballad with a huge zest of oriental perfumes à la Vangelis on a slightly hopping structure of rhythm. The piano and the seraphic voices add a cloud of melancholy which amplifies the distress of the Chinese violins. Robert Fox's mise-en-scene on these tracks is astonishing. We can't have a spiritual vision as much cinematographic with these rhythms which grow without bursting, shaping a storm which is trapped in poignant tearful harmonies. Moreover, each track from “Still Waters” offers this fascinating duality between the ambient tribal rhythms and the melodies weaver of tears. We break into pieces in front of the deeply moving "Sirens" and its voices of oracles which are hanging in the air such as vapors of bewitchment. After a daydreaming intro which hesitates to release the chords of its poetic and theatrical rhythm, "Chimera" drains its 12 minutes with a structure of rhythm which is similar to those sonic landscapes which accompany those documentaries on the Oriental world. Robert Fox weaves a tribal universe to make dream with chords of a fanciful Persian guitar, angelic choruses and voices of oracles of sands which sprinkle a universe where the filmic rhythm merges to its atmospheres as ethereal as meditative and heart-rending. "Ishtar" brings us to another level. It's a beautiful down-tempo erodes by the dust of sands where the oracle of deserts offers his litanies to a synth and its piercing Persian breezes. We are in the universe of Alquimia and of her magnificently ethereal voice. "Desert Song" offers a slower rhythm. A slow tribal dance tempo where this time it is voices of men that chant over some delicate tribal percussions from which the hypnotic beatings bring to the skies the laments of dreamy violins and the sweet breezes of flutes and their sharp harmonies. "Persian Sunset" loops the loop of an album intensely poetic where Robert Fox completely subjugated me with 75 minutes of pure delight. 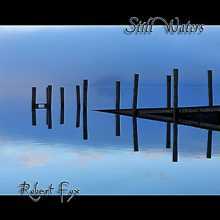 AD Music's press info quotes that “Still Waters” is about Robert Fox's best opus. One says this to each of his new albums. And nevertheless, it's true. Robert Fox has this gift to surpass himself in a crenel which is very difficult to excel; New Age. One exaggerates and this is melodramatic. We are lacking of juice and this is insipid. And if we aim justly, this is theatrical, soft and moving. It is a musical story that we listen to with full of images inside the head. This is “Still Waters”. On his last album (Layers), Tangram had left as visit a musical card signed of delicious down-tempos and synth-pops to fine psybient aromas. “Lustbient” borrows the same approach by offering a musical range as much eclectic but resolutely leaning over ambient rhythms. Supple and hypnotic rhythms which are bearing melodies delicately drawn in some complex axes where the lines of harmonies are intertwined and charmed into structures whose parallelism flirts with its contradictions. And the title-track plunges us straight away into the ambiguous rhythmic moods of “Lustbient”. But it starts with a metaphysical approach where an angelic voice mumbles imperceptible words which get lost on a soft sequenced rodeo. Tabla percussions resound. They congeal a clanic dance which drums under solos of a synth whose apocalyptic lamentations are whistling such as sirens of war. 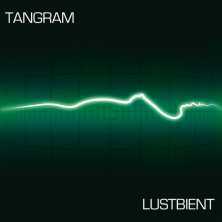 The rhythms and melodies which fill the last album of Tangram are forming some interesting sonic duels which distance themselves from the usual down-tempos albums. But it's as soon as "After Dark" moves on that the musical envelope of “Lustbient” is looming with more neatness. The intro is decorated with paradisiacal breezes which float on the throbbing chords of a bass-line. The percussions are falling. The knocks are curt, sharp and nevertheless drag lustres of dusts. They hammer a soft steady rhythm which waves such as a delicious cosmic down-tempo under the lines of a dreamy synth. Lines which float like leaves falling from a tree and which whistle among fine arpeggios whose tones of prisms forge a delicious earworm. Although more starved, the rhythm of "Sensual Overdrive" doesn't overflow from the claws of a good down-tempo with tendencies of a moderated psybient with ambiences and harmonies which swim in full contradiction. The sound fauna is organicosmic and spits chirping which erode some synth layers clearly more musical. "Bedroom Diaries" explains within 4 minutes the phenomenon of musical ambiguity that is Tangram where nothing is really simple. The basis is a kind of synth-pop of the Pet Shop Boys years but with a sonic envelope which makes its chords flicker in a motionless sphere where tribal kind of percussions and noises from other distant horizons beautify a musical soundscapes which make the most of what comes along but which hides a superb melodious approach. And these melodies which weave earworms and feed those catchy rhythms abound on this last Peter Fabok opus. On an effective technoïd rhythm, dominated by sober pulsations and tsitt-tsitt cymbals, "Silk and Blood" offers two harmonious structures which complement each other and harmonize among a robotics language full of organic gurglings. "Touched by Fire" is among the beautiful pearls of “Lustbient”. It's a slow, but a slow down-tempo where the hammerings of the drum modulate a kind of funeral march. Still there, Tangram shows ingenuity and decorates his structure with sonic elements which attract the hearing. Here this is percussions which sound like breaths of native panpipes on a slow rhythm where are chirping some absent-minded harmonies. "Venus Miracle" is the longest track of “Lustbient”. It offers a delicate structure of minimalist rhythm where percussions and jumping keys synchronize their skipping into some thin stroboscopic rhythmic filets. Dreamer, the synth throws some whistling lines which alternate their harmonies with arpeggios just as much musical. The same pattern goes with "Random Hearts" which on the other hand offers a heavier rhythm. Difficult to encircle, "Mademoiselle Leatherette" rolls on a mixture of funk and groove with percussions which roll like in an evasive jazz. The harmonies are braided around crystalline arpeggios which ring of a fascinating aggressiveness on a synth dressed in fuzz wha-wha. The result is as well puzzling as fascinating. "The Smokepioneer Lizard" encloses the universe of “Lustbient” sound diversity with an ambient structure. It's a concerto for cosmic bells which ring in a nothingness flavored by quirky tones. At the end, we have to consider Peter Fabok very seriously. The man behind Tangram reveals a beautiful musical feather by conceiving shorter tracks without falling in the usual ineptitudes of supposed ambient down-tempos or a supposed EM which tries to make us dance or move rather than to make us daydream. “Lustbient” shows the same colors as Layers, one of the beautiful albums of EM, with colors of IDM as much harmonious as intelligent, to have caressed my ears in 2012. When EM can be sensually danceable. 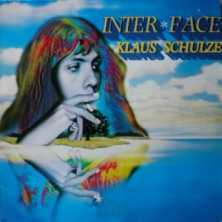 Released in 1985, “Inter*Face” is considered as being the worst album realized during the digital period of Klaus Schulze and as one of the worst in his discography, just besides Le Moulin de Daudet. Let's say that it badly starts a chronicle, because I totally disagree and I think that it's a very good one. And a great one, if I may insist. In fact, I always considered “Inter*Face” as one of the most beautiful madnesses of Schulze where some remainders of Angst and Dziekuje Poland are floating in a tumult that only Klaus Schulze can easily harmonize. Revisited Records rereleases a retouched version of this intense forgotten work with, as usual, an interesting booklet filled of facts regarding this album and with 2 bonus tracks which, if are not breaking all, are worth it...if we are collectors of the Master's works. And that starts with "On the Edge" and its heavy orchestral strata which tear a cathédralesque ambience and float on the pulsations of a stoical drum of which the linear beatings stumble towards a mind of funky rock approach. The rhythm is bombarded by these strikes of drum and chords of a bass line which coo over the floating harmonies from the orchestral strata while "On the Edge" kisses the funk style of Phil Collins with the hatched blows of trumpets à la Earth, Wind and Fire style. I admit that it could disturb a bit. But it's Christmas in summer with some ringing bells which decorate a festive approach whereas behind all this catchy ghetto rhythm is looming the notes of a meditative piano which plunges the listener into another musical register with soft anthological flavors. And as there is anything never sets in stone with Mr.Schulze, percussions, kind of conga drums, add to the ambiguity of a structure of rhythm from which the constant evolution is torn by sound elements which split the premise, if premise there was. And good heavens that I like these violins and their floating wings which caress a rebellious rhythm! Distant spheroidal sirens pierce the silence to introduce "Colours in the Darkness"; a crazy music piece which sinks into the paranoia of a synth and of its synthesized vocabulary where Angst and Dziekuje Poland spread their ashes. Although incisive, the tempo sounds a bit like a rough draught and rolls on the slow dragging strata of a synth which mute into vampiric cello. Percussions and glockenspiels are feeding a schizophrenic rhythmic structure where huge symphonic strata add a harmonious dimension to a track which should have gone nowhere. This is great Schulze! On the verge of funk and groove, "The Beat Planante" offers a structure of ambient rhythm which looks strangely like a bumpy ballad of a cowboy where wooden percussions, kind of clogs' ones, make some tick-tocks on the carpet of iridescent mists from a synth which floods our ears with breaths of nasal spectres. It's quite relaxing, and this even if the percussions weigh down the mood in the course of the last minutes. Spat by the tumult, the long title-track is in the vein of Schulze as I love it. A soft line of bass sequence fed furtively a rhythm which is outwitted by another line of more crystal clear sequences. One would say a 1985 version of Body Love, but with more madness. Synths spit out apocalyptic atmospheres and vampiric solos which move with a strange sensuality. And the ambiences get fatten by huge Babelian strata which are mooing beneath the big rollings of the bass drums, drawing a hallucinatory route which increases its pace with arpeggios sparkling in silvery breaths. "Inter*Face" dives into a nagging lento where twitchy strata float of their philharmonic jolts on the strikings of percussions became more rock than random. The rhythm is heavy and Klaus Schulze plays with his spectral moods while controlling a rhythmic approach from which the minimalist tone extends the insanity of the evasive harmonies. It's a great beautiful 25 minutes of charm, where the Maestro builds his Daliesque painting with bass-drums which are thundering and rolling with fury under the slow movements of philharmonic strata and vampiric solos which whistle under a thick cloud of cosmic tones unique to the signature of Schulze. Incredibly delicious! According to the story; "The Real Colours in the Darkness" should have been on the original pressing instead of "Colours in the Darkness". There was a mixture at that time and Schulze corrects this error by giving it to us as a bonus track on this revisited edition. But in the end, this track has nothing to do with "Colours in the Darkness". On the contrary, it's a beautifully ethereal piece of music, once the intro is passed, which reveals all the romantic and dreamy side of Schulze. The beautiful arrangements breathe a passion unique to the universe of Schulze with an undulating bass-line, some mystic choirs which call up to spiritual pleasures and great multi-sonic layers which make anemic all those who want to imitate the thought of Schulze. I like it very much and I cannot refrain from drawing a parallel with the music in “Inter*Face” and the Body Love era. "Nichtarische Arie (A Not So Hidden Track)" brings us back towards another musical register of Klaus Schulze. It's an extended version of the Macksy maxi single released earlier in 1985. It's a kind of disco, or a mix of techno and synth-pop, à la Gerogio Moroder. If the percussions are brilliant, the voice, the beat and the sequencing are rather ordinary. Can people leave me alone by saying that Schulze got mislaid from his original style? We know it since 1980. Schulze is the only one to make a so perfect symbiosis between his analog and digital period. Just think of Tangerine Dream or Jean Michel Jarre. “Inter*Face” is a brilliant album whose complexity has not to be ashamed of its rhythms and harmonies as compulsive than magnetizing. No! Schulze doesn't deny his roots, or his past works and even less his fans. He advances and gives to the technology of today the Schulze tyle, making of his music a completely unique art that will be still played when the children of our children will learn the history of music, because Schulze is simply the musician of an era. A brilliant one! I found nothing of poison on this album. Everything is there: moods and analog tones, crazy, floating and ambient rhythms as well as dreamy and aggressive synths. In brief, the ideal combination to spend another 75 minutes of bewitchment with the Master. When to this revisited edition, it has the merit to remind us all the genius which was hiding behind “Inter*Face”, a nice booklet in plus with additional music. A dream. And in all honesty, would you give 20 years of gap between this edition and that of the 1985? Here we are! You understood everything. 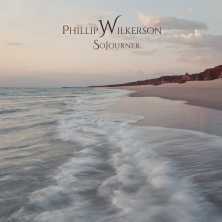 We cannot travel in more ambient phases than with “Sojourner”. For his last album, Phil Wilkerson has wanted to drag a listener captive by wrapping layers of a morphic synth in an intense introspective journey drawn by immersive landscapes which feed on our ambiguity to define them. An intense meditative journey which offers all the hillsides of a universe of meditation where the torments desecrate the desires of tranquillity on long structures, on profound ambient spaces that Phil Wilkerson modulates by bringing significant tones nuances and shades in each track in order to maintain an interest always captive. A grave tone wave opens the contemplative sweetnesses of "Epiphany". Here, as everywhere in “Sojourner” the rhythm goes away to let the sonic life shine of its dreamy strata whom the slow curves are cradling our sleepy dreams. Those who know the oceanic softness of Michael Stearns' M'Ocean will be familiar with the slow movements of the synth layers which float between two spaces, radiating of their translucent amphibian breezes. We drift between sound waves or cosmic spaces so much the feeling of emptiness submerges us with a merciless reality. And the effect is even more striking with earphones. But how describe ambient music? It's little as to describe a white painting which is coloured of fine lines with curves and akin forms but of which the attraction remains magnetic or obsessing. "Sanctuary" and "Sunlit Drift" are two short tracks which offer a more cathédralesque approach with amorphous synth lines which glide such as seraphic clarions. The tone is brighter. 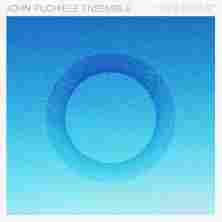 "Gates of Mercy" offers a more ambiospherical approach which is very near Steve Roach's interstellar dreams. The fine movements of synth draw slow harmonies of which the iridescent breaths slide like songs of astral mermaids. The synthesist and sculptor of introspective is structuring his music with a slow and subtle emotional gradation which follows the curve of these oblong movements with sibylline depths. At this level, the tenebrous "An Endless Light" is more than effective and caresses even the doors of a dark ambient. Although Phil Wilkerson wants to avoid at possible immersing in the abstruse universes of the dark ambient forms of music, he stumbles with a surprising grace in "The Awaiting Presence". The opening is strangely musical with early breezes which blow on delicate arpeggios moving forward furtively on a long carpet of oniric breaths. Still here, we cannot ignore the influence from Steve Roach's electronic still life structures with this fine movement of deaf rhythm which sculptures a fascinating introspective pilgrimage. And little by little the opalescent synth breaths wrap the silence of those steps lost with an impressive bunch of blows where absent voices and spiritual breezes are melting together in an immense immersive painting, plunging the listener in the depths of himself. There where Phil Wilkerson aimed. Definitely, the SynGate label doesn't stop pulling a rabbit out of its musical bag. After E-Tiefengrund and Realtime it's the turn of Tastenklang to come charming our ear with a beautiful musical album which shows that EM can be whistled as well as danced. Oscillating between the rhythmic approaches of the synth-pop and the IDM Düsseldorf School style as well as Jean Michel Jarre's more contemporary electronic rhythms, “Inspirations” evolves on Teutonic minimalist structures with automated rhythms and lobotomised melodies whose fragile harmonies depends on the balance between the catchy rhythms and the often cosmic and sometimes organic atmospheres. "First Contact" wears its naming marvellously. Daniel Gessert couldn't choose a better track-name to depict the musical universe which surrounds a first opus fills by very New Berlin School scents where the fragrances of Software, post cosmic and experimental, float in rhythmic envelopes of a sleepy Kraftwerk. This first track establishes the link between silence and music by some cosmic chirpings which drag in their furrow a line of rhythm spitting its jerked keys and accept the linear dance of the percussions. Robotics, even cybernetic, the rhythm is catchy. It dances slowly, unifying the percussions and chords of a resonant bass line to skip into the morphic mists of a synth with perfumes of ether. Softly, the rhythm of "First Contact" gathers musical stars which sparkle like harmonious prisms, accompanying a fine dreamy melody whistled by a synth more musical than experimental. After a first track impregnated of a rhythm easily accessible, Tastenklang presents us the very melodic side of “Inspirations”. A tick-tock awakens a line of sequences to the crystal clear tones of gleaming arpeggios which interlace in a sweet morphic reverie. "Choons" charms our ears immediately with a delicate passel of iridescent prisms (I hear Thierry Fervant's Univers) which swirl into an indefatigable spiral and draw a delicious lobotomised melody where the fragile tune flits around in vapors of oniric voices while being finely shaken by strikings of percussions to manual tones. Lively and freshly musical, these two tracks are the onset of a series of tracks with nice rhythms. Rhythms as much fragile and easy to assimilate that the soft morphic melodies that they carry to the tip of the robotics chords. And without knowing it, we have just fallen into the seduction trap of “Inspirations”. Because all which follows is as well beautiful as good, even if sometimes that rocks rather hardly, like with "Melody O L" and its powerful circular rhythm. A stroboscopic rhythm which navigates between the melodies of the kind synth-pop à la Visage (Fade to Grey) and the contemporary hot-pink rhythms of Jean Michel Jarre. Let's say that the floorboards are dancing wildly with this virulent techno, with a rhythm stuffed by heavy movements of a technoïd staccato which spits noisy, but musical ions, while freeing a catchy electronic melody which is reminiscent of Pop Corn from Jarre. If you like the genre, "Groove Machine" is not outdone. As so heavy, but slower, it offers a good spherical structure, like a good cosmic techno, while that "Funny Beats" offers a suppler dance structure, slightly tinged of a fine cosmic envelope. The rest? Pure harmonious tenderness! You have to hear the eponym track of Daniel Gessert's musical project name in order to seize all the dimension of this work with so many hypnotic futuristic melodies. "Tastenklang" begins innocently. With tap-dancing which clink such as hits of a wearied typist whose knocks float in a cotton mist. A line of sequences unveils its delicate arpeggios which, noiselessly, subdivide their ringings in two harmonious lines which are harpooned by percussions as simplistic as effective. We hook on! The keyboard frees sparkling riffs which destabilize our focus while that "Tastenklang" lets fly its 8 minutes by releasing filets of harmonies which swirl like these musical ballerinas which enchanted our children's ears. Except that this time the approach is more modernist, more robotics with chords of glass which sing and ring on a structure of which the mesmerizing minimalist approach fattens a rhythm become heavier. A rhythm which is closer of a soft down-tempo, although always morphic, a bit jerky and of which we have never feel the hatching comes in this way. This is great and strangely musical. "Starry Sky" and "Melancholic Moments" are also very good musical down-tempos with ambient rhythms while "Daydream" offers a very beautiful melodious approach with sober chords saddened with a melancholic tenderness which float between the multiple filets of sequences to tones a bit crystalline. Molded on the same model of increasing minimalist rhythm of "Tastenklang", "Northern Light" closes “Inspirations” with a robotics rhythm which increases its pace and its heaviness in the course of its 8 minutes while chiselling a fine melodic approach which magnetizes the hearing between an array of organicosmic tones, exposing aptly all the harmonious universe of “Inspirations”. This first album of Tastenklang is unpretentious. Daniel Gessert proposes a simple and very catchy EM where the melody dominates on rhythms wrapped up in envelopes of synth-pop, down-tempos or IDM. A shy IDM, except for 2 to 3 tracks, where the fragrances of New Berlin School get entangled in a Düsseldorf School as harmonious as fictionalized. I would say that it's the perfect album to get initiated to a shy, but effective, universe of EM which is not that far from the cosmic spaces. If we like Jarre, Software and, at the limit Kraftwerk, we shall be in good company with Tastenklang's “Inspirations”. Medicinal music! You believe in it? Hem … I'm not certain. I believe in the bewitchment by the music on the other hand. If it's not the case for you, try then “Medicine Work”. But I have to admit that the task to tame these structures free of steady rhythms is rather difficult. In fact, it's through the reading that I took myself of fascination for this last opus from Byron Metcalf. The tom-tom drums, especially their hymns of frenzied war on the title-track, have often made me frown of the ear and leave my reading to let myself being immersed. And I eventually discovered a beautiful album which if not of the seed of the usual Berlin School style possesses an undeniable charm. But although of this sound style, it remains difficult to describe the music of the shamanic percussionist because in spite of the percussions which thunder and which resound, the rhythms are nearly invisibles, unseizables. We feel well and truly a colorless rhythmic pattern which tramples on and jumps, except that these rhythms more tribal than incantatory, if draw a trance frenzy, are under the yoke of powerful breaths and hoarse groans from the Didgeridoos of Rob Thomas. Autopsy of an album as puzzling as charming. It's in a morphic sweetness tugged by dark, bitter and reverberating waves that "This Way" opens. It's a storm of hoarse breaths, of which the sinister sinuosities lift the little spherical bells of the rattles and shakers percussions, which takes possession of our hearing while that some sober tom-tom drums draw the pattern of a slow rhythm. Other percussions, Buffalo drums, inundate the passivity of an ambient structure which quietly stirs of a jerky rhythm, guided by the hiccupped breaths from Rob Thomas. 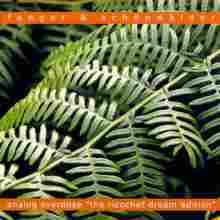 Far from being banal, the music of Metcalf and Thomas inhales the strangeness of the clanic and shamanic trances. Like most of all minimalist music albums, the long structures are of used as skeleton to a panoply of instruments which forge, otherwise decorate, approaches as rhythmic as melodic. Here, the instruments are only aboriginal percussions, Didgeridoos and shaman voices which shape abstract rhythms and mystic harmonies, like the synths would do. "A Deeper Descent" extends the finale of "This Way" by diving into an ambient phase with husky breaths and hoarse singings from the Didgeridoos and of its strange harmonies filled by mystery which glide such as flights of birds of prey in a torrid desert. The ambience is heavy and adorned of organic tones that the acoustic percussions and the shamanic singings are sculpting with a surprising fascination for the ears of laymen. The rhythm shakes and lifts the chloroformed envelope at around the 6th minute with lines of jerky singings and tom-tom drums which remodel the slow and rebellious rhythms of “Medicine Work”. The percussions braid a fine crescendo which will keep a linear pace, thundering under a thick cloud of breaths and shaman groans which inspire a schemer incantation much closer of the aboriginal-medieval witchcraft than of an introspective quest. We may try to understand the morphology of the titles, to follow their meaning that we just get lost here. Because our perception has difficulty to join the one's of the authors. But the music is speaking to us. So the title-track bursts of a superb fury where the wild acoustic drums knock down the supposed serenity of the Didgeridoo. One would say a hymn to war. A war from medicine against disease? Bets are opened. The fact remains that it's a heavy, an explosive track, even if the rhythm always remains static, where Byron Metcalf stuns our senses with his tom-tom drums as much furious as his rattles and shakers are hypnotic. Powerful and disturbing. It's a rather intense17 minutes. And who says that fury can't be enchanting? The slow rhythm of "Gates of Initiation" brings us towards Steve Roach's slow tribal and atmospheric incantations. Even if the structures are similar, there are always new elements. Here, it's the breaths of voices which attract the hearing and dig an auditory interest. I said at the opening that the title-track had taken me away from my subjugated reading; "Servants of the Mystery" is not outdone. The track spreads its 17 minutes by following a crescendo, as much in the passion, the eagerness of the incantatory rhythm than the strength from the spiritual ambiences with a game of percussions as much effective as in "Medicine Work" whereas Rob Thomas moans hoarse breezes which have nothing to envy to synth layers with Mephistophelian aromas. If disturbing the mind is captivating its interest, “Medicine Work” does the job. Honestly, when I asked Byron Metcalf for a promo of his latest release I didn't know what to expect. I had quite liked his collaboration with Steve Roach on the very beautiful Tales from the Ultra Tribe and I wanted to get to know better his universe of spiritual percussions. And I have to admit that I rather liked it. More than I could imagine. Yes, it's not a musical genre easy to tame. Except that there is a fascinating beauty which hides behind the uncomfortable windy blows out of the Didge. 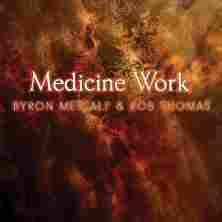 Tribal, spiritual or totally abstract, the medicinal music of Byron Metcalf doesn't leave us unmoved. There is something inextricable, inexplicable which is hiding behind these burning acoustic percussions; a dark universe which isn't exclusive to those initiated. Puzzling and inviting! (cinematographic and orchestral Dutch School EM)It's been a while since I didn't hear music from René van der Wouden. Since 2009 to be exact with his very good Numerus Fixus. Since then, the Belgian synth wizard has released 4 albums and did a remastering of his out of print albums and produced those on the German label SynGate. And it's good to renew with his music again. Inspired by the BBC series Earth Planet and Frozen Planet, “Earth Festivities” entails us in the paths of René van der Wouden's influences with a very beautiful album which inhales the cosmic rhythms and ambiences of Jean Michel Jarre and the textural harmonies of Vangelis. Voices which blow around static cracklings. The intro of "Earth Festivities" glides such as flights of birds trapped in the storm of cosmic winds. Winds which ooze like long twisted scars and which sing of their glaucous voices in a slender sonic corridor decorated of sparklings of stars. And far off, we hear the percussions clinking with the fear of disturbing. The rhythm settles down. It grows with its jingles of metallic percussions which tickle the waves of synth became suddenly very musical, floating like a cosmic waltz. René van der Wouden didn't forget the cradle of his influences. We are full into Jean Michel Jarre's spatial territories with a sonic firmament multicolored of its electronic tones to the soft perfumes of analogue. Scent that will feed the 74 minutes of “Earth Festivities”. It's beautiful and tenderly poetics. This cosmic rhythm is hiccupping finely on the knocks of percussions while that a sequences line scatters its jumping keys which frolic in their glass clothes in a dense foggy to the angelic voices. Their dance forges an earworm that will sharpen our senses during the next 12 minutes, even if sometimes they disappear for a short moment. Like the rhythm. It's quietly, under the cover of the cosmic mists, that the title-track offers its rhythmic texture. A rhythm which comes and goes and which broods its heaviness beneath intense cosmic pads to eventually end by biting of its resonant chords at around the 12th minute. It quivers like a big harmonious funk which is humming of fury on the fragile jingles of sheet steels percussions and sequences with forms of glasses which bicker in a thick cosmic clouds pierced by angelic voices. It's powerful, beautiful and oniric. It sets the tone to a completely unexpected album. The slow cosmic derivations of Jarre are missing you? The very ambient and floating "Water Festivities" will be your antidote. It's a slow waltz where are flowing filets of sequences of which the musical grains are scattering rhythms which sleep under the surrounding layers of a synth and of its soporific sighs of tiredness. We like? The herd of short tracks in the 2nd half of “Earth Festivities” is stuffed of these moods. After this slow dance of cosmic waters where the waves and the froth intertwine in the shade of the anger of Aeolus and the cybernetic dialogues of R2D2, "Tropical Forest Festivities" seizes our ears with a surprising and attractive structure of rhythm. A very musical rhythm where René van der Wouden forges clanic percussions and notes of an acoustic guitar which support the harmonies blown in a strange wind instrument. We have this feeling of already déjà hear here with this melodic pattern that sticks to the ears so much it sounds familiar. Didn't I hear this on an intro for a documentary? And nevertheless it's unique, just like the whole sonic world of Wouden, and so ear-catching because of its paradisiacal beauty. Tangerine Dream, for Force Majeure, Mind Over Matter, Ian Boddy and David Wright are names which come in mind to describe better this structure of rhythm and harmony of "Tropical Forest Festivities" whose evolution takes a tangent more jumpy and more muscled in the second part. This is one of the good musical tracks that I heard this year. 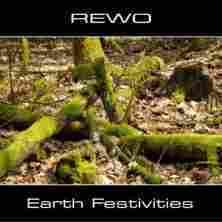 As much ambiospherical than "Water Festivities" but with a more weightiness at the level of rhythms, rhythms which rather remain motionless, "Arctic Festivities", "Desert Festivities" and "Antarctica Festivities" are tracks which fascinate with a mixture of organic tones sequences which snake the sides of very ambient structures. "Air Festivities" offers a soft reverie à la Vangelis pursued by sound elements which erode its sculptural beauty whereas "Life Festivities" respects the very big tranquillity of the ambient tracks with soft prisms which peal into the violin sighs that René van der Wouden borrows out of a beautiful floating orchestration. "Human Festivities" distances itself from the lot by enclosing “Earth Festivities” with an approach of electronic synth-pop à la Jarre. It's a very lively and catchy track with nuances in the rhythms and beautiful melodious approach unique to the electro-pop signature. In an environment where too often everything is alike, René van der Wouden is a wind of freshness. He is part of this category of artists who have their own musical signature. His music is unique. Even if Jean Michel Jarre's strong recollections glide here and there, his sound, his sonic signature is his own. But that's not only the charm of “Earth Festivities”. On his last album René van der Wouden shows a strong sense of musical writing. This is a really good album where EM of the analog years caresses the contemporary forms in an electronic envelope where the creativity and the ambiospherical structures don't switch off, at any moments, the harmonious phases. It has earworms which drag here and there, as well as electronic rhythms and structures to make dream the fans of Jarre, Ron Boots and Przemyslaw Rudz. Silent Currents / Live at Star's End 2010 and released on the American label Projekt in 2011 (PRO262). The atmospheres, the tears of spectral guitars, the synths and their morphic movements and melodious winds, the dusts of these winds and their elvish singings surround a quite new rhythmic and sonic approach that Erik Wollo sculptured in the shade of his synths and guitars in its Wintergarden Studio in Norway. And the result is very charming. I would go so far as to say that this “Silent Currents 3” possesses attributes that its older brother didn't have: a delicate symbiosis between the rhythms and the atmospheres. The first shimmers arrive as soon as in the 8th minute. The sonic pearls which shine in the lapping of water encircled into subterranean caves bring the listener to another level than the desert autumn winds. These streamings give birth to a fine rhythm which emerges one minute later with riffs delicately jerky which jump under the spectral lamentations of a dreamy six-string. Like an uncertain cha-cha, weakened by these ghostly pads which roar silently, the first stammerings of the rhythm of “Silent Currents 3” are flowing with a surprising fluidity for such a dislocated junction. It faints in a broth of ambiences where roam these twisted lamentations of guitar and jingles of carillons which swirl in static winds while that the second phase of rhythm arises straight out with a finely jerky spiral staged on riffs which roll in loops under the howling streaks of an obsessive guitar. This phase of rhythm returns to lie down under its blanket of gleaming prisms which sparkle in winds coming from everywhere while the chain of riffs is reborn under another shape, kissing a line of resonant bass and borrowing the interesting territories of a mid-tempo filled by the fragrances of a black funk. And so goes “Silent Currents 3”. Drawing from the ethereal atmospheres of his 2010 Star's End concert, Erik Wollo breathes of a fascinating creativity which kisses Steve Roach's influences, for the clanic approaches, and Patrick O'Hearn's for the black rhythms and melodies. The guitars which cry on the desertion of the iridescent winds tear away the sighs from the soul towards the second part. We float in a heart-rending phase where the tootings of the six-string kiss the astral waves which derive in search of lost souls. 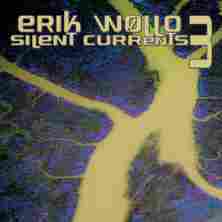 Mixing serenely his ambiences as much black as poignant to rhythms as fleeting than harmonious, Erik Wollo maintains this fragile balance of rhythms and atmospheres which make all the charm of this revisited Silent Currents. The section of the 23rd minute which binds to the 37th is simply divine. Patient, Wollo maintains a hearing interest by playing on an ambiospheric crescendo which leads to a very beautiful clanic rhythm. A rhythm finely drummed in the shadows of an ambient groove that a fusion guitar/synth caresses of breaths torn between the passion and the passivity until the 42nd minute. And these last minutes of “Silent Currents 3” draw from the abyssal atmospheres of its genesis, but with a reshaping of the moods and an addition of prismic tones, like carillons embracing winds, which replace the lapping of waters. Carillons which sing and which swirl lasciviously, misleading always the listener who was delighted of these oniric ambiences. “Silent Currents 3” is a lovely complement to Silent Currents. Erik Wollo would have given it another title than we would have been completely fooled. Of course, when we stick both works side by side we remark the precepts of Silent Currents. Drones, waves and layers of synths as well as lines of guitars as much disturbing, strange as meditative are of used as cloth of ambience to rhythms and to harmonious arrangements which infiltrate Silent Currents like a sound river escaped from heavens. Beautiful, very beautiful! Is there a more audacious project than to put in music the life cycle? Nevertheless, it's the impressive challenge that decides to undertake the Torontonian musician and composer John Puchiele. For a long time member The Glass Orchestra, John Puchiele is not at his first steps with the world of music. He composes music for movies as well as for projects of televisions and cultural of the big Toronto. “Life Cycle” is a fascinating symphony for an ensemble of strings, piano and synthesizers where the minimalist approach kisses the influences of Steve Reich, Philip Glass while the envelopes of ethereal atmospheres remind by moments the clanic desertions of Steve Roach in a universe softly caressed by gentle and wrapping choirs. "From There to Here" transports us into the musical fantasy of John Puchiele with soft synth pads which float and accumulate in a dense orchestral covering from where filter some fine strewed notes of a meditative piano. Straight out, the Toronto's composer fills our ears with a sonic climate which rocks between an astral poetry and an ode for solitary souls. This is soft and ambient with a rather filmic musical sculpture which develops a little more with the short but poignant "First Step" whose profound orchestral lamentations question our perception about the beauty of this cycle with its heavy scars to come. The heavy notes of a black piano which fall with crash in "Foundations" root down this perception of blackness which spies on this life cycle. It's very dark and the brightness of the resonant notes follows us like an intuitive shadow during a walk where we make a little trial of our life. "The Big Sky" is simply striking. Both sad and wrapping, the synth pads float such as musical winds borrowing the intense whimpering of violins on a long ambient structure torn by its orchestral cinematographic approach and its slow incantations of synths to the mourners suspended harmonies. We are in Steve Roach's dark and meditative territories here. An astral choir opens the celestial harmonies of "Thinking", a track which reminds me the contemplative approaches of Ray Lynch on The Sky of Mind which is a great meditative New Age album. The way Puchiele embroiders his choirs which float with a surprising maternal compassion is simply touching. One would believe to hear a choir of tearful mothers murmuring their thoughts to absent ears. The electronic and symphonic fusion reaches its peak with "Second Step" which is even denser, intense, dramatic and wrapping than the first one and "Life Gets Busy" which offers the first rhythms of “Life Cycle”. Those are textural rhythms sculptured in hatched riffs of violins of which the sonic canons remind Philip Glass' tortuous ambiences. These philharmonic riffs chop in small parts a mortuary mood that synth pads, weakened into synthetised sighs, bring towards a dense orchestral approach finely detailed by a mesmerizing Babelian cacophony. Puzzling, "Life Gets Busy I" escapes in the storm of a rebel piano which spits its anarchic notes into the furious "Life Gets Busy II". It's a condensed fury where we guess easily the traps and the spirals of a turbulent life. Afterward it's the dead calm with the very ambient "Third Step", "Climbing" and "N.D.E"; three tracks which overlap such as a stairway rising towards serenity. Very slow, "Climbing" is as much striking as "The Big Sky" while "N.D.E" brings a bit of astral luminosity with chloroformed synth pads which glide among singings of ether. Always in its ambient phase, “Life Cycle” breathes of its expiations on the very meditative "The Edge of Infinity" while that "From Here to There" loops the loop with an orchestral approach as dramatic as the opening track. Here is a special edition which slipped beneath many ears. “Analog Overdose: The Ricochet Dream Edition” is astride the first 2 albums from Thomas Fanger and Mario Schönwälder, AO1 and AO2, with a mixture of music pieces played in concert and recorded during studio sessions, both in 2001 and 2002. The letter announces the colors of the messenger and the music of Fanger & Schönwälder is a real incursion in the analog spheres of the vintages years and answers very well to the precepts of the American label Ricochet Dream which concentrates on the dark and experimental electronic works. Albums which are inspired by Tangerine Dream's years of Rubycon and Phaedra; two great albums from a key band which is the main reason for the existence of Vic Reck's label. And this special edition of Analog Overdose presents us a darker and more progressive side of Fanger & Schönwälder with strong chthonian ambiences which float such as rustles from beyond the grave on intriguing and fascinating experimental approaches which if have the upper hand over the harmonies, lower the guarding in front of impetuous movements of sequences. How the depths of an arid earth can embrace the cosmic corridors? It's the question that we ask ourselves by listening to "Electronic Mirrors Chapters II-IV", played in Berlin Petrus-Kirche on February 2002, and "Encore", recorded in studio in 2001. The intro is parasitized by felted explosions, by sulfur breaths, by shouting striations and by beeps of submarines' ballasts. In brief, a swarm of tones as eclectic as contradictory and as infernal which seem to extricate themselves from the depths of a universe in fusion. We are bathing into a chthonian ambience with dark choirs which hum in hollow winds while prismic tones and ambiguous Mellotron lines blow away and get lost in cosmic breezes. But most of all, we are deep in the purely ambient phases of Fanger & Schönwälder. And gradually the darkness gives way to an astral softness where blow and sing breaths of a dreamlike Mellotron which cross blue plains, where are hiding delicate arpeggios with which the impromptu melodies decorate a finale painted of its abstract stamp. "Encore" sticks as much to the finale, as at the structure of "Electronic Mirrors Chapters II-IV", like a continuation of its Mephistophelian atmospheres. To say the least, its first 7 minutes. After? It's the black rhythm. A rhythm resounding of its rogue timbre, where hiccup some jumping keys of which their jerked kicks oscillate into the philharmonic melodies of the synths. Melodies which roar such as rebellious winds on a rhythmic skeleton sustained of its stubborn ions. These ions force the rhythm to pound ferociously for about ten minutes under a stream of synth layers and Mellotron breaths which exchange their harmonies, black choirs and iridescent mists up until the lessening of the skeleton of which the intensity is kept silent beneath a cacophonous concert of flutes and clarions which are very near the ambient spheres of Force Majeure. "Liquid Tape 6" and "Ems No.1" are two ambiospherical and experimental tracks while that "Liquid Tape 3 (Sentimental Live Loops)" spreads the first real harmonies of “Analog Overdose: The Ricochet Dream Edition” with a more cosmic version, a more lengthened one too, of the wonderful Sentimental Moods from AO1, played in Berlin's Liquidrom in 2002. Splendidly delicious, we bath at full depth in Klaus Schulze's analog ambiences. CD2 dips us back into the psychedelicosmic atmospheres of the first CD with "Liquid Tape 4 (The Liquid Art)" and "Liquid Tape 5", both recorded during this Liquidrom concert. If the 1st part is purely of ambiences, with musical prisms which ring and spin in countercurrents and eddies of spheroidal winds as dark as the abstruse choruses, the 2nd part offers a delicious structure of cosmic rhythm. The sequencer frees keys which drum a fine rhythmic approach where the rhythm is enslaved as much as the gurglings of synths are by a strong interstellar atmosphere. We certainly hear wilder keys grumbling and to erode the line of the rhythm, except that the filet is as much hard as a lead thread and it maintains this phase of morphic rhythm in balance with its cosmic environment fed by synth lines of which the formless tones don't even make shade to the celestial choruses. This is a very good psybient mid-tempo. Recorded during the famous concert at the Toskana Therme of Bad Sulza, in Germany, "10 P.M. At Bad Sulza" is the cornerstone of this special edition from Ricochet Dream. Morphic, the intro spreads its vampiric veils over the first 4 minutes before our ears get acquainted with the keys which are jumping into the shade of their predecessors. The rhythm becomes strong with this handle of keys smiths of minimalist rhythms which skip with stubbornness on a slim rhythmic plan which allows no overflowing. And synth lines, more vaporous than harmonious, cover this rhythm at the same time as sober percussions harpoon it, aligning "10 P.M. At Bad Sulza" towards a linear rhythm darkened by obscure choirs. Lines of flutes encircle the lineal movement, infusing forms of indistinct solos which sing over a rhythmic greyness. The sequencer comes as additional help and frees other keys of which the criss-crossed jumps break the grey dullness of a Teutonic rhythm which oscillates now of an adjoining rhythmic plan before being gulped down by the patience of synths at around the 24th minute. And it's an ambiospherical waltz which catches our attention for the next 12 minutes before the rhythm is reborn. Stronger and more musical, it skips and cavorts fervently under the breezes of synth of which the apathetic approaches eventually tame the liveliness at about the 45th minute, bringing "10 P.M. At Bad Sulza" into the cosy night-whims of Morpheus. Quite a finale for an album which is truly the sonic paradise for every fan of analog EM.